In broad terms, type 1 diabetes (T1D) results from a dysfunction in the immune system’s complex network of checks and balances. Instead of recognizing insulin-producing pancreatic beta cells as own tissue, immune cells target and destroy them, leading to insufficient insulin production. 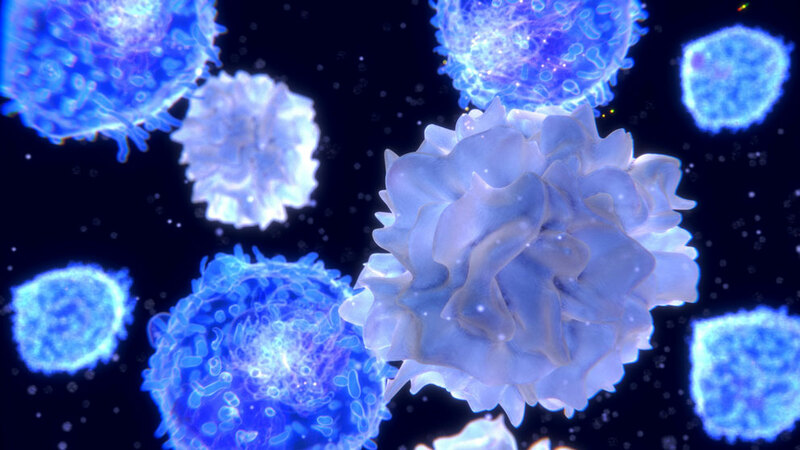 In normal function, immune cells are “trained” to ignore own tissues and proteins, with multiple inhibitory checkpoints involved to prevent autoimmune activity. In T1D, the safeguards break down, allowing for disease. While some of the pathways involved are well known, T1D is a highly complex disorder involving dozens of genes, and despite intense study, a complete understanding of disease mechanisms and pathology remains elusive. In “A hypermorphic NFkbid allele contributes to impaired thymic deletion of autoreactive diabetogenic CD8+ T cells in NOD mice,” published in The Journal of Immunology, a team led by JAX Professor David Serreze, Ph.D., presents research into a gene related to T1D susceptibility previously mapped to chromosome 7. The original findings were perplexing, as the location was found to exert both T1D contributory and protective effects. In the paper, the team worked with NOD mice, an important T1D disease model, to show that variants of the gene expressing Nfkbid on chromosome 7 contribute to susceptibility by impairing an important part of immune training. As a first checkpoint against disease, T cells potentially capable of destroying beta cells are deleted or diverted to a different function in the thymus, before they can reach the pancreas and do damage. Suppressing Nfkbid expression enhanced thymic deletion of diabetogenic T cells, theoretically decreasing the likelihood of an autoimmune reaction. On the other hand, the team observed that completely eliminating Nfkbid actually accelerated T1D onset. In a finding that highlights the complexity of the disease, absence of Nfkbid also diminishes development of regulatory T and B cells (Tregs and Bregs) that normally provide another later checkpoint against autoimmunity in peripheral tissues. As a result, although there are fewer autoreactive T cells in Nfkbiddeficient NOD mice, the ones that did leave the thymus were far less likely to be de-activated by Tregs and Bregs in the peripheral tissues before attacking pancreatic cells.The finding complicates the potential for developing therapies based on reducing the number of diabetogenic T cells, as they may also suppress important regulatory functions and not mitigate disease progression. Further research is needed into the exact mechanisms of Nfkbid function and how its variants contribute to the complex pathology of T1D.